FRENCHMAN Romain Grosjean continued his solid return to Grand Prix racing yesterday, by nicking the quickest time in the second day of the Mugello Test. In much better and consistent conditions than were seen on Tuesday, the Lotus Renault driver lapped around the Italian circuit in 1.21.603 to join the Sauber of Kamui Kobayashi at the top of the timesheets. The two Red Bulls of Mark Webber and Sebastian Vettel were third and fourth fastest as Red Bull look to understand their new car more after Vettel’s recent success in Bahrain. Grosjean’s fastest lap came early on in the day and on a harder tyre than the one used by Kobayashi to set his quickest effort. This, along with previous testing form does suggest that some of Lotus’s race performances so far have flattered to deceive in 2012. Michael Schumacher did the most duration, completing 144 laps yesterday for Mercedes GP before departing for a break before Barcelona. Nico Rosberg is expected to be back at the wheel today. It was a quiet and calmer day after the storms of Tuesday but hydraulic problems for most of the day left Force India in the pits and Paul di Resta largely on the sidelines. Day three has already begun and it will be interesting to see if Lotus can continue their good form today. 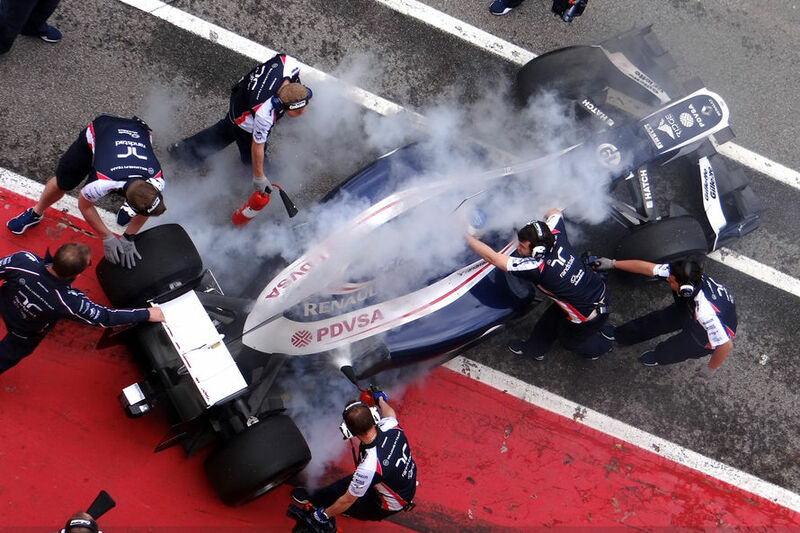 FORMULA ONE’s first in-season test since 2008 turned into a damp squib, as rain ruined the first day in Italy. There was something for the patrotric tifosi to cheer however as some consistent times from Fernando Alonso this morning saw the Spaniard end up fastest today. Alonso was a full 1.2secs quicker than the Red Bull of Mark Webber, although that isn’t a fair representation of times due to the weather. In fact the afternoon session was a washout and the track had to be closed for a while as the medical helicopter couldn’t take off. The Mugello circuit, where this test is based turned into the lake, akin to the weather most of the UK has seen in April. Alonso’s quickest time today was a 1.22.444 on slick tyres as drivers did at least have the morning to set competitive times and gain useful data for the European leg of the 2012 championship, starting in Barcelona on May 11-13. Ferrari will be hoping that the new aerodynamic package it has brought to this test can revive the flaling fortunes of the F2012. Despite Alonso’s shock win in Malaysia, the team has struggled to set the standard and were often in the midfield in the flyaway events. 11 of the 12 teams are testing here, including Marussia. HRT will be absent this week as they concentrate on moving factory location to Madrid. Also away are McLaren drivers Lewis Hamilton and Jenson Button. Button was doing a demo run on the streets of Budapest today with young British duo Olivier Turvey and winner of the DTM opener at the weekend, Gary Paffett in action this week. Better weather is forecast in the region for the next two days which will be hoped for by all the teams. On the 18th anniversary of Ayrton Senna’s tragic death at Imola, May 1 saw the return to testing and not enough of the anticipated track action forecasted. THE countdown to the Australian Grand Prix is now well and truly on as pre-season testing concluded this afternoon in Barcelona. 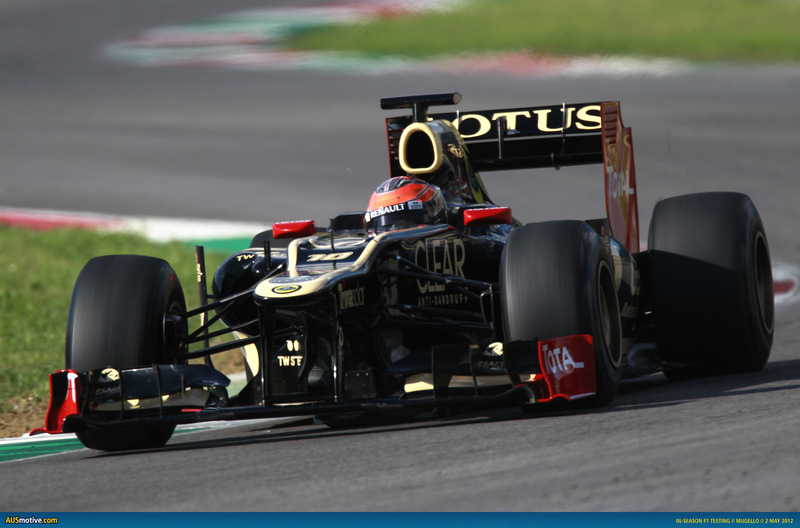 Kimi Raikkonen and Lotus ended on a high, finishing fastest and confirming the Enstone team’s threatening pace. In this test, the team have ended up top of the timesheets at the end of three of the four days of running at the Circuit de Catalunya. Whilst Raikkonen was overcoming his problems that affected his running yesterday, it was the turn of world champion Sebastian Vettel to have a nightmare. Vettel could only do 23 laps and made little running on the final leaderboard, actually ending slowest. This morning, a trip into the gravel broke the new front wing that Red Bull brought to Spain yesterday. This afternoon, gearbox malfunctions left the German cutting a forlorn figure in the garage. Maybe the double world champions have a bit of fallibility? However, anyone who thinks Vettel will be slowest driver in Albert Park will need their brain to be severely tested! RBR will be hoping it was just one bad day, but Ferrari have had frankly, a disastrous winter testing season. Fernando Alonso may have ended up second fastest today, but technical director Pat Fry has admitted the team have “little chance of finishing on the podium in Melbourne.” Bad vibes have been coming out of Maranello throughout the winter. Others were in trouble today too, with Sauber packing up early due to an engine failure for Kamui Kobayashi, whilst Caterham’s Vitaly Petrov brought out the red flags after more reliability problems in the final hour of the day. 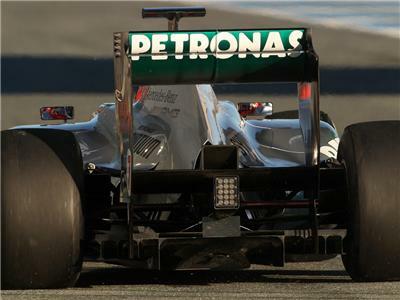 Testing always is a difficult guide to read, with different set-ups, simulations and tyre compounds to contend with. However, it looks like McLaren and Mercedes GP have excellent race simulation and good reliability, Force India look consistent, Lotus have superb one-lap speed and durable simulation and Red Bull look as formidable as ever, but might have some questions over reliability. Ferrari definitely have work to do, as do Caterham and certainly Marussia and HRT, the latter two not showing up to any test with their 2012 cars. A LATE qualifying simulation from Sauber was enough to see their Mexican charger, Sergio Perez power to the top of the timesheets on the penultimate day of testing in Barcelona. It was another day where the times sometimes misled the story of the day, but does provide more rough guides heading into the first race. 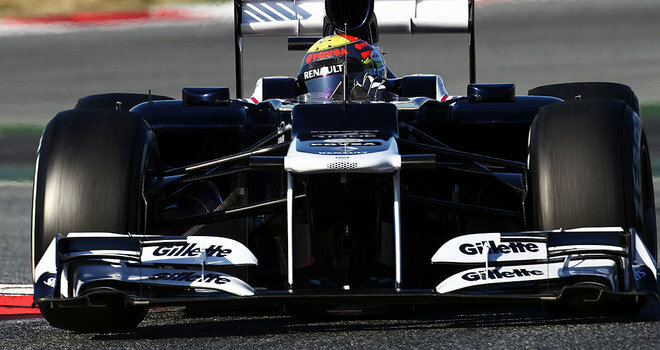 Perez’s time of 1.22.094 just before lunchtime was a mere 0.009 secs quicker than Jenson Button’s McLaren. Interestingly, the Sauber driver set his time on the soft Pirelli tyre, while most of his competitors did their quickest laps on the super soft rubber. Button made up for lost time after a hydraulics problem grounded his car in the garage for the majority of this morning’s time. 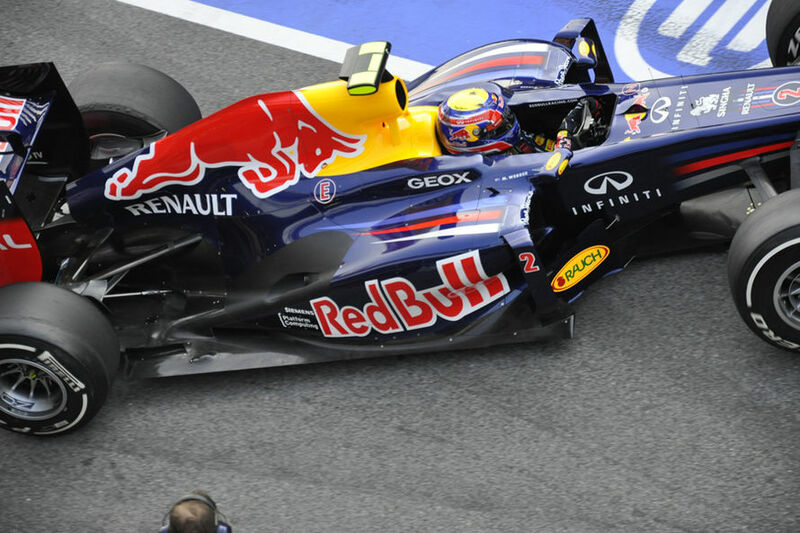 Daniel Riccardo was third fastest for Toro Rosso, ahead of Felipe Massa’s Ferrari and the Force India of Paul di Resta. Most of the quick times were set around the lunch period, as rain showers limited running this afternoon. Ferrari also continue to raise speculation about their true pace, by surprisingly cancelling all their news conferences with the media for the remainder of the weekend. Massa was due to speak to the press after running today, as was Fernando Alonso tomorrow. Meantime, Kimi Raikkonen had a miserable return to the cockpit today after nearly a month away. The Finn was plagued by power steering problems all day and was consequently, the slowest driver on the charts. Hispania also confirmed today that they will not be at the test tomorrow, hoping a day of filming on Monday will be enough data to take to the Australian Grand Prix in just a fortnight’s time. ROMAIN Grosjean continued where he left off yesterday, by setting the quickest time today in the final pre-season test. 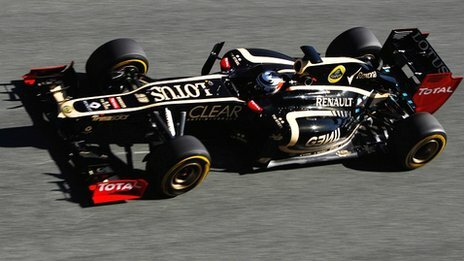 Grosjean’s Lotus set a time of 1.22.614 in the dying stages, to pip Jean-Eric Vergne to top spot. 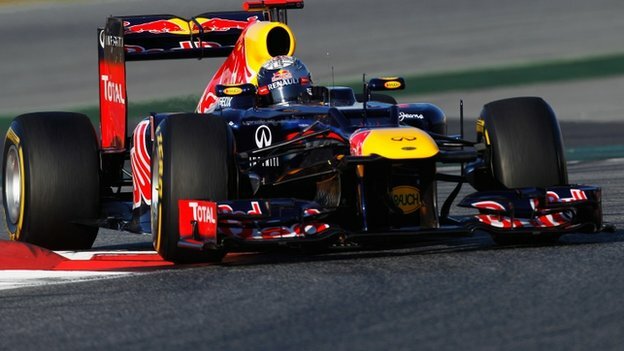 Sebastian Vettel was third fastest as Red Bull continue to keep a quiet profile, but still seem to be the bookmakers favourites for the season opener in Australia. What’s more, the team will be flying more parts out from their factory in Milton Keynes to the test at the Circuit de Catalunya tomorrow. Although Grosjean did the fastest time on the soft tyre like yesterday, his consistency on both short and long runs suggests that Lotus have fully overcome the chassis problems that led to their testing programme being drastically cut last week. Vergne, a fellow Frenchman and 2012 F1 rookie, had to sit out the majority of the afternoon session after a Ferrari engine failure on his Toro Rosso late this morning. The pace of the French stars left Vettel back in third, whilst Fernando Alonso had a better day for Ferrari today, ending up fourth and completing a trouble free race simulation run of over 60 laps. 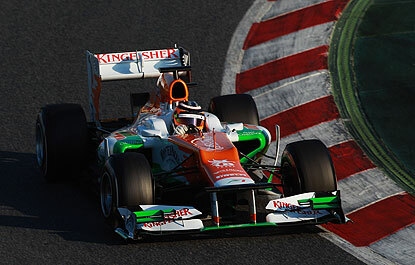 A late burst on the super soft tyres pushed Heikki Kovalainen into a surprising fifth place. The Finn seemed to have recovered after the stomach upset that meant he had to sit out yesterday. Lewis Hamilton spent a lot of the day in the garage, as McLaren worked on his car. Like Red Bull, they continue to fly out new development parts as testing nears its conclusion. 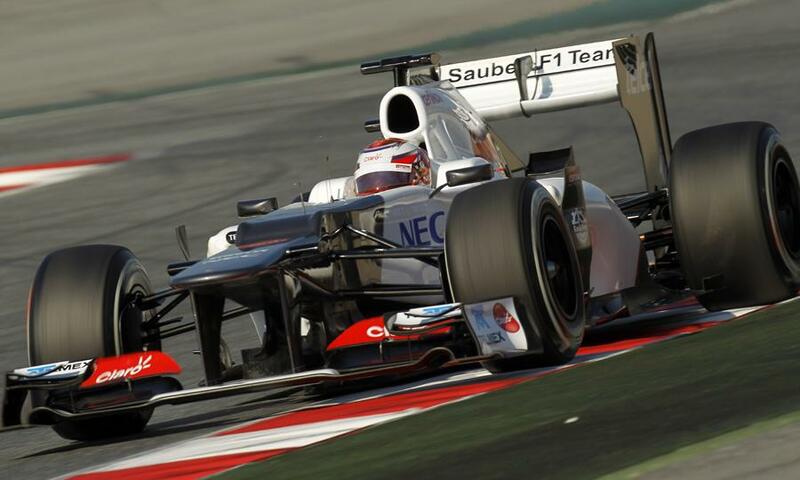 Nevertheless, he still managed over 60 laps and was ninth fastest. 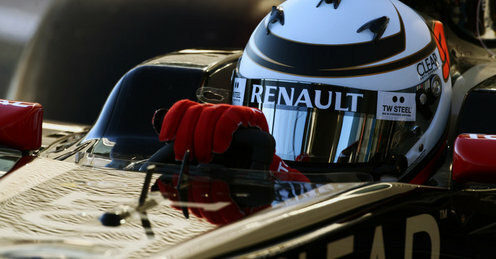 There were six stoppages in an interrupted day, which saw fog delay the start of testing in Barcelona by half an hour. Nico Hulkenberg lost the entire afternoon after stopping on track with a suspected gearbox problem on his Force India Mercedes, whilst Michael Schumacher brought the red flag out twice, with driver error and technical faults to blame. AFTER chassis problems forced them to abandon their testing programme last week, Lotus returned with a bang on the first day of the final Formula One pre-season test. Back in Barcelona, Romain Grosjean became the first driver to end up being the fastest for the second day of testing this winter. Grosjean’s late lap of 1.23.252 was good enough to pip Jenson Button, who showed strong pace in the McLaren, setting the fastest time for the majority of the day on the slower, harder Pirelli tyre. There was a late driver change at Caterham, as Heikki Kovalainen went down ill overnight, leaving Vitaly Petrov to do the driving duties instead. Nevertheless, a trouble-free day of 123 laps will help both the Russian and his team, who have been plagued by reliability issues in testing so far. HRT and Marussia were both missing from the test, with Marussia not running due to the failure of a routine FIA crash test at the weekend. Hispania are hoping to make it to the test for a brief shakedown of their new car at the weekend.